Confederate Brig. Gen. Nathan "Shanks" Evans stopped a badly coordinated attempt by Union forces under Brig. 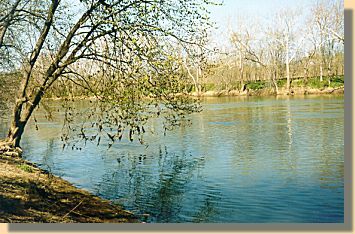 Gen. Charles P. Stone to cross the Potomac at Harrison's Island and capture Leesburg. 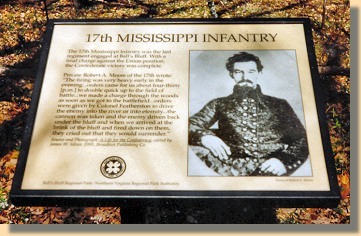 A timely Confederate counterattack drove the Federals over the bluff and into the river. More than 700 Federals were captured. Col. Edward D. Baker, a senator from Oregon and a friend of President Lincoln, was killed. This Union rout had severe political ramifications in Washington and led to the establishment of the Congressional Joint Committee on the Conduct of the War. (Text Source: U.S. Gov't, National Park Service). 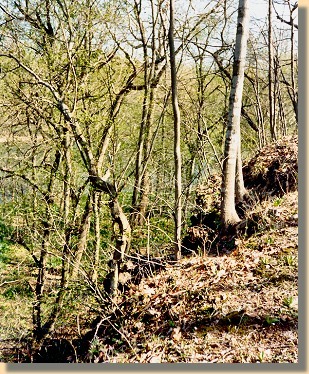 Union troops crossed the Potomac River and scaled Ball's Bluff in an attempt to capture Leesburg, Virginia. 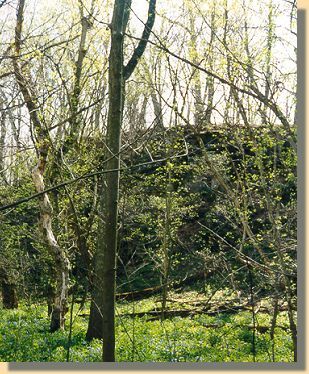 Quickly surrounded by confederates, Col. Edward D. Baker was killed and his men stampeded over the bluff. To read the text, click Here. Many Union troops drowned, and their bodies washed ashore downstream in Washington. (Telegram regarding battle at Ball's Bluff). Charles P. Stone to Abraham Lincoln, October 21, 1861 (Telegram regarding battle at Ball's Bluff). Transcribed and annotated by the Lincoln Studies Center, Knox College, Galesburg, Illinois. Available at Abraham Lincoln Papers at the Library of Congress, Manuscript Division (Washington, D.C.: American Memory Project, [2000-02]), http:/memory.loc.gov/ammem/alhtml/alhome.shtml, accessed [March 27, 2003]. 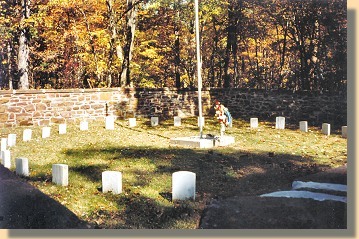 The Ball's Bluff National Cemetery, the nation's smallest military cemetery, was established in December 1865 as the burial place of 54 Union casualties of the battle. Letters at Photographs refer to this map.